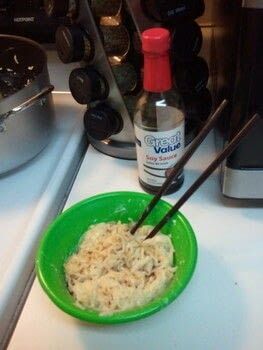 For when you want to jazz up your ramen snacking. 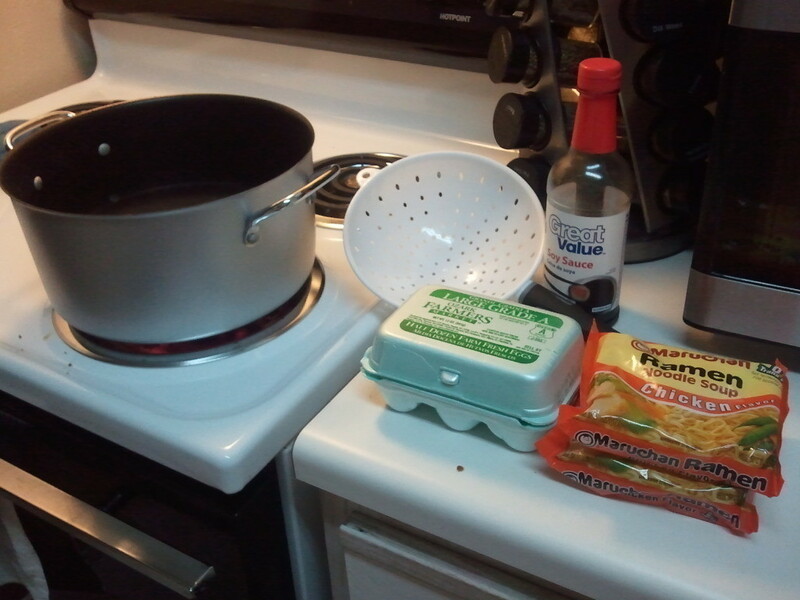 First, gather all the ingredients together. 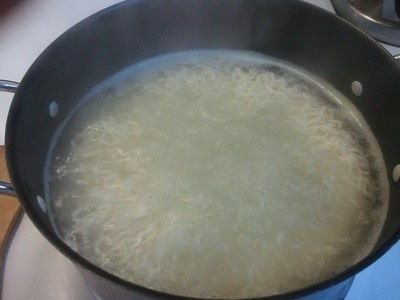 You'll need a pan that's a little on the big side, a strainer, two packages of chicken flavored ramen (you could probably use another flavored but I myself can't stand anything but the chicken flavored ones), water, eggs, and some soy sauce. You'll need to put enough water for the ramen to float in, so fill the pot about halfway or more. Turn the heat on high, and wait for the water to boil. Once the water starts to boil, turn it down just a little and add the ramen noodles. I prefer my noodles whole, but breaking it up into pieces is just fine as well. 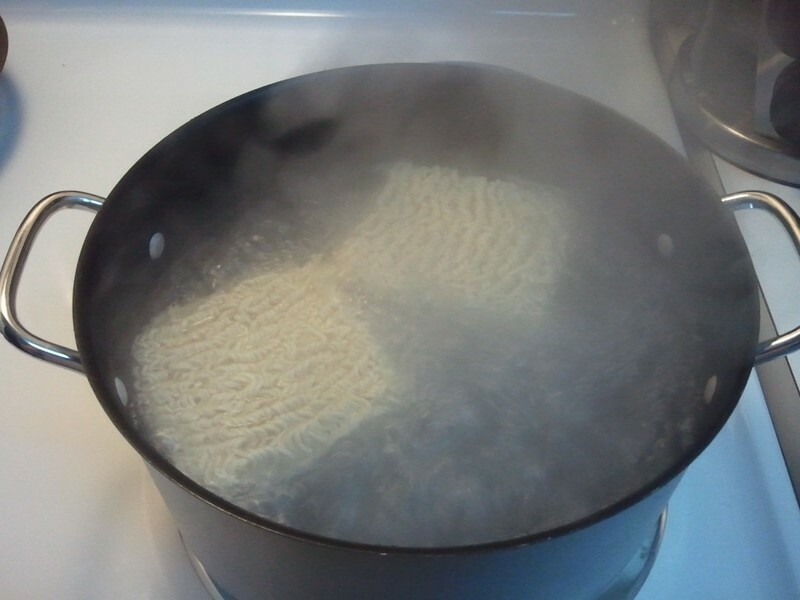 Let boil til the noodles soften. 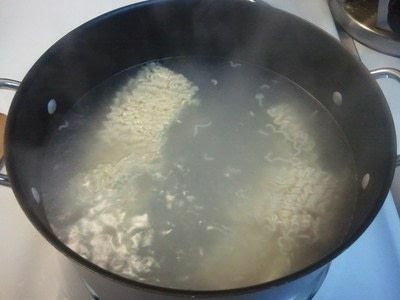 This is when you will want to add half a packet of one of the chicken flavor pack. Let the flavor incorporate slightly. Now drain almost all the water from the noodles. 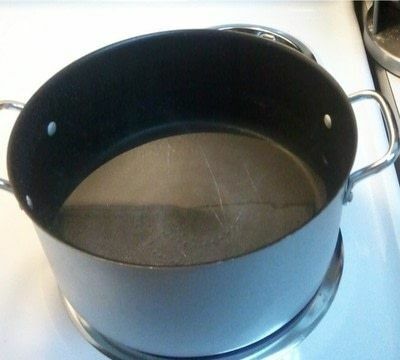 There is still too much water in this picture, so really just enough to line the bottom of the pan should be left.Return the pan to heat, turning the heat to medium/medium-low. This is the part where you break the egg! Normally, I use 1 egg to every two packages of ramen cooked, but I had more water than usual so I used 2 just this once. Mix the egg(s) into the hot noodles, mixing really well before they start to become fully cooked. 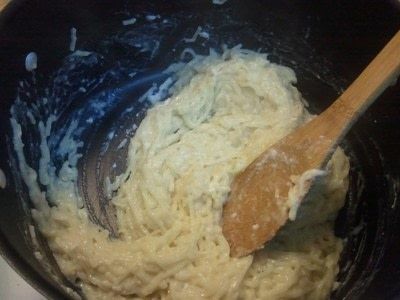 Keep stirring until the egg is completely cooked and longer that yucky slimy consistency. 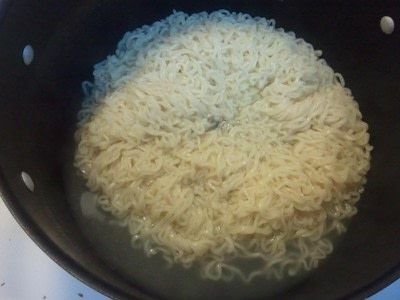 Now that it is completely cooked, dish out and eat! The soy sauce is added to taste, but you can add anything else you'd like, too! 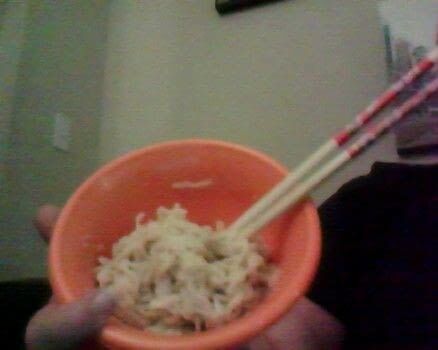 I myself just use a lot of soy sauce, haha. 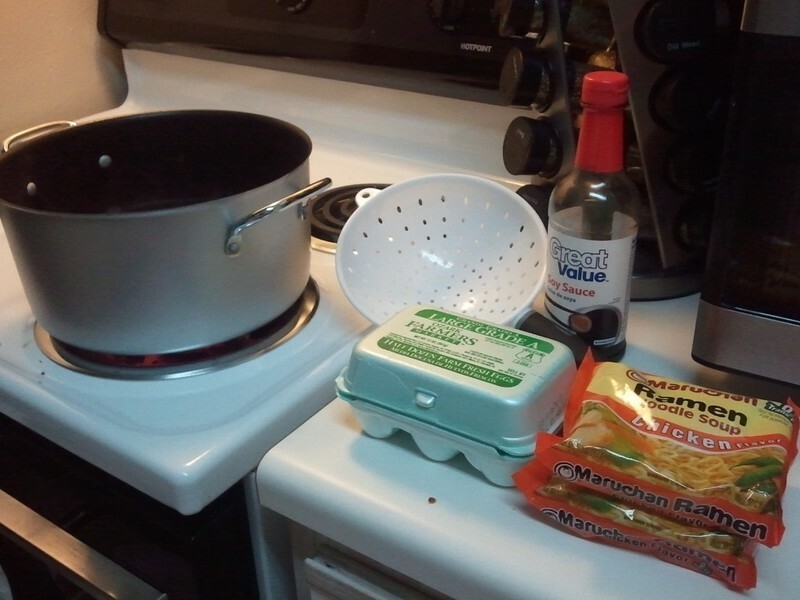 You should read 101 things to do with Ramen!